The latest edition of the established Enduro card printing platform now includes Ethernet as standard and a 3 year warranty. 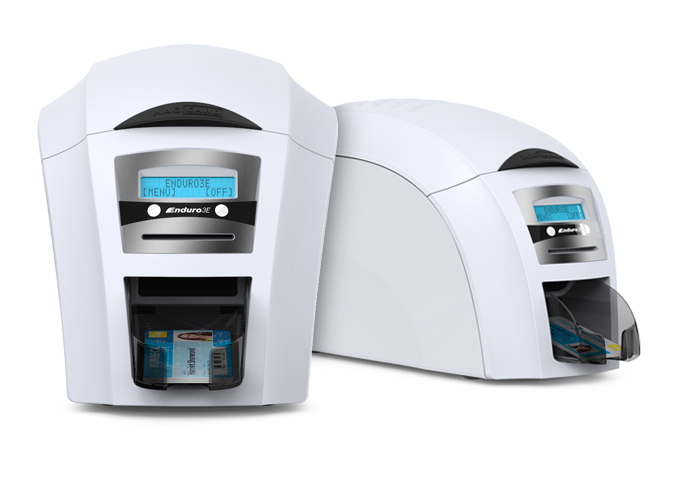 When it comes to secure and reliable ID card printing, you can trust the Enduro3E to deliver. You can batch print, hand-feed, or even use rewritable cards. Security comes as standard with four HoloKote watermark designs and can be enhanced with in-line card encoding options, ensuring the Enduro3E is trusted for ID issuance across enterprise, education and events.